Thank you all for your kind words and prayers on the previous post. We feel them. From Monday morning until Wednesday around noon, we had some special visitors, Uncle Doug, Aunt Jill and Shane. 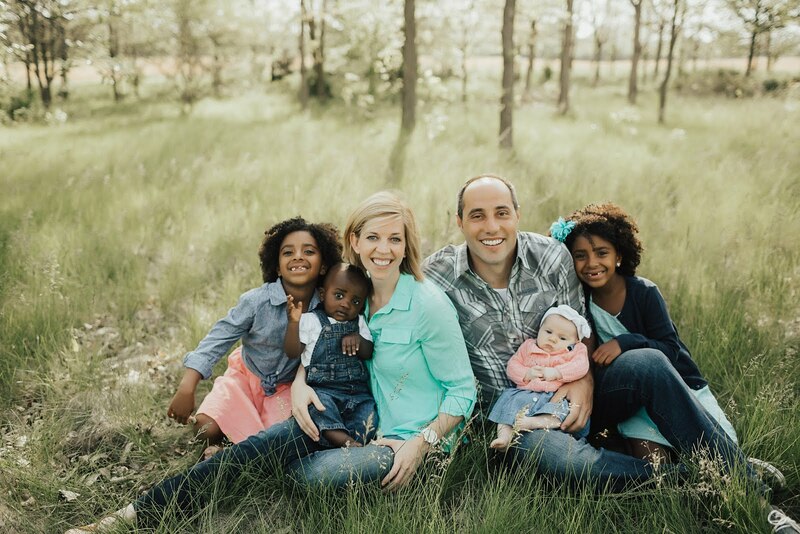 They were in Kenya and since Ethiopia is a neighbor, they courageously booked to come visit us before we were even here, knowing it was possible we couldn't host them. And we are so glad they booked those tickets. We had a wonderful time. They were adventurous and great sports as we had a whirlwind few days. Doug mentioned they came to encourage and be encouraged. We can attest to the first! Little A makes me cry so many tears. Sometimes it's because she is defiant and sassy and I don't know what to do. Lately, my tears come on her behalf of her sadness. The Littles aren't advanced academically, I actually think we have some delays but socially and emotionally, she is wise beyond her years. The move has been hard on her. She is a planner and it's harder for her to enjoy the moment because many of them are unplanned, I can't prep her on what to anticipate or the schedule changes. In addition, because of her amazing memory and her strong attachments in the USA, she vividly remembers and deeply misses the world she has come from. 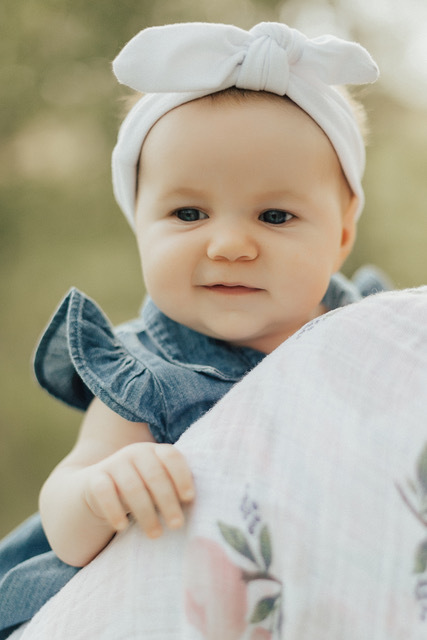 She looks through pictures and she quietly sits, "I miss Grandma Fiechter, I miss Mimi, I miss…"
She convicts me with her simple and then applied understanding of the Scriptures. We sat in a gas station, in the vehicle while Jon filled up. A little boy was talking to us through the window. When it was time to leave, he said, "Money, money, money." I sadly smiled, told him "I can't give you money" and we pulled out. After a few beats of silence, Little A said, "Mama, doesn't the Bible say to love one another?" "Yes, baby," I responded tentatively, having a decent idea of where the conversation was headed. "Mama, you didn't love that boy. He was poor, he asked for money and didn't have any and you didn't give him money." And I don't know what to say, I tried to explain that most times, giving money out a window isn't the way to help someone. Last week they played on the kitchen floor while I made dinner. She was asking about returning to Leo church, family and friends. I responded overly chipper, "Well, we can see them again, we can pray for them and think about them and they can pray and think about us!" Moments passed and a quiet little voice asked, "Are we going to stay here forever?" And I don't know what to say. How do you explain two years to a three-year old? While in Bahir Dar, we were able to Skype with family. The girls had finally warmed up but it was time to wrap up the conversation with Nana and Papa, she was all smiles. Little J, in her sing-songsy voice said, "Can, I say one more thing?! I like you". Not to be outdone Little A announced she had one more thing to say. She was given the floor and she dropped the question, "Will you remember me?" And I don't know what to say. "Of course they will remember you, Baby". and then I turn away because I don't want her to see my tears. The wound is deep for her, separation is acutely felt and I know that we have signed her up for a life of transition and goodbyes and it kind of breaks my heart. I know that as believers, we are not promised a life on the same continent as people we love and it is truly a joy to live where God has called us. But how do I explain that to a three year old? Life here has joys and experiences that can't be replicated outside of pulling up roots and planting ourselves in a new place but it comes at a cost. I feel that cost acutely when observing my little tree wilt, knowing her tree will root again and she will flourish, praying it is soon. It hurts to watch. When moving here, we had heard in a training that, as much as possible, accept every invite (providing it wouldn't be a compromising situation). I wondered how we would navigate what The Littles could eat in the homes. However, when we walk in, there is no way to graciously refuse the food and The Littles would not stand for me not allowing them to experience the new foods in front of them. So, they chow down. The Littles love coffee and I am glad. It's a boiled drink so safe to drink. I prep them before we go into a new house. "Girls, it is probably a mud house. Don't make any rude comments about anything. Say thank you, be friendly, and Little A, NO COMMENTS ABOUT HOW HUNGRY YOU ARE. Heavens Child, you JUST ate. We can eat again as soon as we get home!" Little A is always hungry. If it is understood here (like at coffee time at the SIM project), food is piled in front of her while everyone else takes meager portions. I remind them to shake hands. "It's okay if the hand is dirty, Mama can wash yours when we get home." There are some things unforeseen, that I can't prepare them for because I didn't know to expect it. Like the welcome into the home by laying down a fresh sheep skin to sit on. "Mama, what is that?" I answer with a calm smile, while trying not to sit on the head of it, "Wow, it is sheep skin! I bet it is warm! I have never sat on a sheep before, have you?" They smile and sit down. 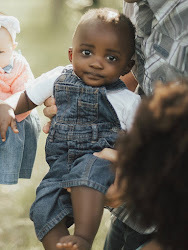 The baby screams when he realizes a white woman is holding him. (No joke, he studied my face about 10 seconds before screaming). His parent's apologized and pointed to my skin. They really wanted to bless us with holding him though, so The Littles were asked to hold him. "Mama, he's not wearing unders!" I tried to convince Little A into holding him. She obliged for a quick moment. I love this picture and know I already put it on instagram but in this picture, she is figuring out anatomy and is not impressed. Thanks for praying flexibility into my kids. By the grace of God, they are rockin' this scene. It makes me think of the four we left. They're so beautiful. 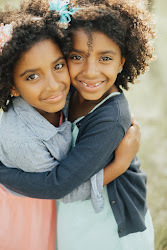 These sweet young girls. Boys are the prized children here. Girls, not so much. They smile shyly under the loads of babies strapped on their backs, firewood to be hauled, clothes to wash, water to haul, animals to be tended and injera to make for the family. Right now, I can only smile, give them hugs and air cheek kisses. Oh, that they could know Jesus. To know their value in His eyes, as daughters of The King. Let me start with a confession of my first mistake. I have been skipping the proofreading step. Time seems short and I trust my writing abilities a bit too much. I was reading past posts and e-mails and am horrified by my grammar and typos. From this day forward, I will proofread. :) Thanks for graciously overlooking my faults! We heard in training to expect to make at least a million mistakes. I hate making mistakes but I can't live immobilized because of my desire to do everything right. We pray often for wisdom and then, when we realize a mistake or fauxpax, we do the only thing we can, laugh and pray some more. In our indirect culture here, we have time to make the same mistakes, over and over as we don't catch the subtle corrections. Factor in our lack of Amharic and communication is always funny. In the middle of some conversations, it feels like a riddle. I smile, trying to connect the pieces, thinking, "Why are they telling me this? What are they saying?" Then it begins to dawn on me, "Aha, they are delivering a message/correction" and then my mind scrambles to solve it, putting together pieces. Zelalum had the same conversation with Jon and I at separate times. He explained, "The cow went one way and the sheep went the other." We laughed, smiled. "Oh, those silly shepherds." He went on. "The cow goes one direction, the horse is over there and the sheep went back inside." Hmm. He has mentioned it twice. Maybe there is something I should catch? Z: There are seven days in the week, Monday, Tuesday, Wednesday, Thursday, Friday, Saturday, Sunday. We work everyday. One day is for playing. The sheep is inside, the cow is over there and the horse is walking". Z: 7 days, 6 days working, 1 day playing. Monday, Tuesday, Wednesday, Thursday, Friday, Saturday, Sunday. We play Sunday. Me: Yes, yes, seven days, one for resting. We rest one day too! (Wow, just found a cultural relation point!) We play Sunday. Z:The football is for playing. Me: Oh yes, ishi, yes, the soccer ball. Z: Ow, the mothers and fathers say the cow is there, the horse is over there and the sheep goes back. Mind reeling. Thoughts slowly churning. We have the local soccer ball, a beat up old ball that in the USA would have been tossed to the dogs as a chew toy long ago. Nearly everyday, the boys ask to play with it, using the makeshift goals in the pasture. Why not? They are very respectful, so happy to play and bring back the ball...Ooooooohhhh. I see. (lightbulb) …Putting together the pieces...Cow here, horse there, sheep back home. Me: You mean the shepherds are playing with the ball and not doing their work? Me: So, we should just let them play with the ball on Sunday? Z: Yes! (Now beaming) At 2:00 America time. They need to guard their animals. They are shepherds. We play one day. The animals are everywhere. Me: Ishi, ishi. (okay, okay). A: (laughing) Thank you, amaseganallo. Z: Thank you, thank you (bows slightly) thank you. Smiles exchanged. hand shake, shoulder bump. And Jon and I can still about fall over from laughing over this mistake. We did not go to see the Gumuz, some last minute stuff came up and our teammates, Cherie and Cheryl were still able to go to dedicate the grind mill that SIM funded. I wanted to let you know so you weren't praying for us all weekend in Gesses but didn't have internet. So thanks for your prayers. I am sure the Holy Spirit translated them into something we needed. I had most things packed and meals thought through and prepped so was a low stress food weekend and we had plenty of time to adventure as a family. Q) What is the climate like there? Are The Littles wearing long sleeves for cultural appropriateness or is it really cool? A) We are highlanders now and it is cool here! We are in the rainy season (6 months long). The days are usually somewhere in the 50's and the nights dip a bit but stay pretty consistent. Because of our high altitude (8,500 ft), when the sun does come out, it feels wonderful as it is very intense. We are borrowing a heater until we can buy one and only have outlet power in the kitchen, so it is a hot spot (pun intended). In the mornings, The Littles slip out from their pile of blankets and ask to go by the "fire". Q) Speaking of what you wear…why are you and The Littles wearing the same things in most pictures? Of all the things we packed, I am glad for EVERYTHING besides our ginormous quantity of clothes. It felt sparse when we whittled down in the USA but now feels so over the top. And accessories, seem absurd, a belt for the sake of pulling together an outfit? Forget it. Hair things for The Littles? No. Definitely not. Q) Good Restaurants in Addis? Q) Are the animals tame in the background of your pictures? A) Yes, relatively. Shepherd children have small herds, one boy may have two sheep, another one cow, one horse, etc. The animals respond to their shepherd's voice and we have been able to pet many of their animals. From what I gather, the horses are rarely ridden. The cow's milk is consumed by people but not sheep or goat's milk. We usually have plenty of willing escorts. Q) Where did The Little's long skirts come from? A) Our dear friend, Kristi R and her Mama, Kathy S., blessed us with those before we came and I have been SOOOOO thankful for them! Because of the cooler temps, we use leggings under the skirts, but seeing as The Littles are running, climbing, jumping more than ever, it's been a good thing. Don't worry, they are still getting their frequent dress up, still incorporating Daddio when he works from the house. A) You may have noticed I wear a scarf occasionally and The Littles do often. Most women here have very short hair (think shaved) and wear a scarf. I wear one sometimes in an attempt to blend in a bit more. Does it work? No. :) They are used to me now in the immediate area and so normally don't wear a scarf unless I am going into town. The Littles, they wear a scarf about 90% of the time. They love it, beg for them. I kind of get annoyed at continually tying them up but then remember it is good to keep the lice out, so wear on children! If you have more questions, let me know, I will try to answer them! 2) First time staying solo here. The Littles miss their friends and their adult playmates as well. God has provided for them through Feysil. Feysil occasionally brings his son to work with him and The Littles love it. Little A told me, "I play with him like an uncle!" The Littles love to hang with him during the day. Here they sit in on a gathering of shepherds. Feysil speaks great English but I try to encourage him to speak in Amharic to The Littles. The Littles were using shepherd sticks, every day a different one they could find, sometimes they would find one with thorns or just way too big for them. Feysil had a surprise waiting for them. Their own shepherd sticks, he stripped the bark and cut them down to just their size. The Littles rarely leave the house without them. Or without their scarves. Sometimes I don't let them wear a scarf just because it is one extra thing to wash. The 5 F's Project just wrapped up it's busy season! Jon was right in the middle of this, starting out his day at 7:00, usually working through lunch and getting home around 5:00 or a little after. He sometimes came home for lunch but none of the people he works with stop for lunch so he often presses on. Our people here are very accustomed to fasting days and are no stranger to skipping meals. He also got to spend huge chunks of his day with his boss, Tafera, and he loved this time to glean from his experience and wisdom. Seedlings of indigenous plants are planted by the 5 F Project and local farmers and when ready, are taken to surrounding communities and farmers. There are usually about 14 workers, manually loading thousands of seedlings, driving to a location and then unloading. Seedlings at the project, before any deliveries started. The Littles and I usually saw him at least once during that day when they come back for loads. If we are out and about and see the truck, we go over and chat a bit, helping where we can. Here is a small crew finishing an unload. The Littles love helping and take their job very seriously. Women do the heavy lifting here, hauling big and heavy loads on their backs. Jon is still balancing where he fits in this, often doing "women's work" with the approval of his Ethiopian boss. Trekking through all sorts of terrain to make their deliveries, they make the US Post office look weak, through rain or high water, they press on. Usually with plenty of adorable onlookers. Grasses are valued here as fodder (animal feed) and possible erosion control. Some of the work force on the last day! Bring the ball, they will come. Market days here are Tuesday and Saturday. However, remember the body-to-body chaos I've previously explained? We decided to test drive the market on an "off day" to see how The Littles coped with the people and attention. Jon was with us and did what I have not dared to do, he got out a camera. We bought our carrots and then, even though no one has eggs on a Monday, we found a man who did, 28 of them. (I shoot for 30 a week, good protein source). So we bought our eggs and moved on. I was so glad to see the eggs, I wasn't thinking and purchased them immediately. Normally I buy those last because there are no egg cartons, they just put them in the plastic bag I bring. These little boys shook The Littles hands repeatedly. Oh my, they were sweet. Hmm. How bad do I want an injera plate…not bad enough to wade through this with The Littles. As we walked to the back part of the market, there was a volleyball game being played with probably 100+ onlookers. Jon noticed how well they were playing. Through a series of events, Jon was elatedly, in the game and and after watching one of his serves, the crowd collectively gasped in delight and broke into applause. Yes, this foringe (foreigner, what they call us everywhere) was in the game! After one game, they invited him to stay for another. This was probably mostly older teen and men in there 20's playing. After the game, Jon realized they were playing for money. He is still smiling he got to play volleyball here. Maybe he will want to come back to the market with me. :) I wish I had a camera of my very white husband in the midst of all of this. It was heartwarming and hope giving. An assurance that we can find a place in this community. In the meantime, I tried to keep my eyes on The Littles and make sure my shoulder bag of carrots, potatoes and eggs was not squashed. While he played, The Littles cheered until they got bored and then would find a pile of animal poop, squat down over it and pretend they had just done it. Oh my. I tried to discourage it but could hardly stop laughing which only encouraged the game. Then I pretended I didn't know them and walked away. Just kidding. Jon finally finished and we exited soon after. And that's a wrap of our market Monday. I try smiling, getting on their level, talking in a high pitched voice, wearing a scarf, it doesn't matter. The kids are scared of me. The ones three and up who I see on a regular basis slowly let me into their circles, but the babies and toddlers, if I even get too close, they freak out. Disheartened, I asked, "Why are they scared of me?" The answer is one that has followed me since my first summer in Mexico 10 years ago. "It's because they aren't used to a white face…and they think you look like a lion". So, when I can do anything to get a young one to come near, I seize the opportunity. A young sweetie who was visiting our home. Totally used bribery to bring him near. He was so enamored by the dog, he forgot about the dangerous predator holding it. And then this sweet little girl, laid back enough to fixate on something else and forget the scary lady holding her. It makes me laugh to think about all white, adoptive parents to Ethiopia have to overcome. Poor kids, as if they don't have enough to frighten them, then lions come and take them home. One of the workers on the 5 F's (The Fruit, Forage and Forest for Farm Family Project, who we have our business visas under with SIM) project grandmother died. It was our first experience of viewing a funeral from here (although we maintained a distance out of respect). There were thousands of people there and hundreds of decorated horses. It was all at the Ethiopian Orthodox church down the road. The Littles and I observed and noticed the beautiful horses. The older the person who passes away, the bigger the funeral (as long as one remains part of society's mainstream religion). Having a big funeral is a high honor and something that our people think about and desire. As Jon passed it on the way to work, he started to ask questions and heard that the horse owners were all part of an association and they go out riding on a regular basis and then show their support at public events. Jon said the way it was described, it is just like our motorcycle gangs in the USA. The Littles and I sat outside our gate as the rains rolled in, watching the procession of horses and riders after the funeral. We were amazed at the tradition and beauty of the procession, as they paraded by, I felt like we had a window into something secret and special. Like we were intruding somewhere sacred. The Littles and I watched, awestruck, until it was complete. I will stick to some newsy posts, just so you know a bit more about our life here. Regarding those questions about food preparation, we are eating well here. Before moving here I did think we may be hungry a lot but no worries, we are eating well! It just takes some planning and lots of time. In Addis Ababa, I stocked up on oil, pasta, flour, lentils, dried beans, spices, nutella, jam, powdered milk, kind of your basics. I make yogurt from powdered milk. It has a tangy flavor but works well with passion fruit or in recipes. I am going to try to make cottage cheese from powdered milk today. Skeptical? Yeah, me too. The powdered milk is high in fat and The Littles get it in chocolate milk form twice a day. I can count on finding these things in Injibara: carrots, eggs, cabbage, swiss chard, onions, potatoes, bananas, oranges and bread. There is more available sometimes, just not as good of quality. There are also powders to make traditional dishes here. This is Addisay. She just started helping me two mornings a week and is also doing our laundry. She gave me my first lesson on making shiro (A spicy crushed lentil dish served with Injera). On Thursday, she is going to show me how to make miser alecha (yellow smashed peas) with potatoes. She also makes injera and so I have bought some from her. The Littles love their habesha lunches. We don't eat much meat here but are getting our protein through other means. We did buy some meat from a grocery store in Addis who caters to the expatriate community. Or you can buy live sheep, goats or chickens, haven't ventured into this yet. When we bring food home from the market, I first wash it and then it has to be rinsed for 30 minutes in bleach water and then 30 minutes in a rinse water. If I am going to cook the veggies, any parasite or other dirt will cook off in the heat. Here is the beginning to my spaghetti sauce. After washing then rinsing the tomatoes, I scalded and skinned them. Guess who loves to make tortillas? I involve The Littles when I can, they love helping measure and are amazing troopers about eating and trying new foods and flexing in their eating, a blessing I do not take for granted. High altitude baking is still a new field for me and it effects everything, even pancakes! I have had many flops but I think I am catching on. A problem is when we lose power and I have just stuck something in the oven. I am learning new systems in the kitchen, definitely getting faster and really enjoying it. Although it is not to buy a fat pig. Pigs are very few and far between here but the market does offer a wide variety of other things. Getting groceries is entirely different than from the US. I enjoy it and know when I have some language, I will look forward to it. Although, it is challenging to think through what I need for the week and it is time consuming. Cheryl, our Aussie teammate, has graciously shown me how to navigate food purchasing in Addis Ababa, Bahir Dar and Injibara. There are some stores like this in Bahir Dar, more "supermarkets" in Addis. If you find something you like, buy it, because it probably won't be there next time. In the above photo, I had just found butter in the freezer and grabbed all the packets. We were told it was limit one per customer, so three of us went through the line separately. Here are a few pictures of the market in Bahir Dar (A city 1 1/2 hours North of us). It is a larger market and has more items available for purchase. It is crazy though, there are certain things that I still have to buy in Addis Ababa, like sugar, butter, good rice, powdered milk, etc. Certain produce that is more locally grown is in Bahir Dar and sometimes, produce that doesn't sell in Addis is at the Bahir Dar market. We take our own plastic bags to market and it all goes into one big "market" bag. Produce in general is cheaper than in the midwest. Although most other things are more costly. The streets are wider in the Bahir Dar market, but many parts are very muddy (not pictured). The markets are full of people and wares, so much that at times, people are so tight around you, you have to be very determined to move forward. Our local market in Injibara is different. It I go on Tuesday or Saturday, there is more available (like eggs) but thousands more people. This is not an exaggeration. Body against body. Here are pictures from an quiet day at the market. The vendors group in sections, for example, all the carrot vendors group together, and there are vendors for live livestock, homemade alcohol, and many other things. I am still not used to seeing people carrying goats and sheep over their shoulders, live chickens in their hands, ready to be made into some stew. Cheryl teaches me how to buy onions. I have done it by myself. It takes a big smile, big prayer and an adventurous spirit and then it is a blast. Leaving the market. Now picture it body-to-body. Another small souk (store) down from the bread shop. And then, surprise of all surprises, I just found a drive thru in Ethiopia. There is a banana street (with the occasional oranges) and the vendors are mostly young men and they swarm the vehicle (in a very non-threatening way). I haven't figured out a good way to take The Littles yet, probably something they won't experience for awhile. So, What To Do About These Holidays?